1.) Borislava, for those who are new to your works, can you tell us a little about your books and your writing? 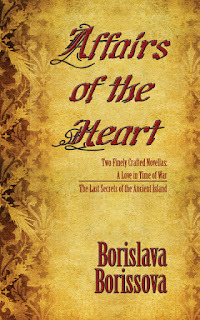 Affairs of The Heart is my second published book. It comprises of two love dramas: "The Last Secrets of The Ancient Island” and “A Love In A Time of War.” In them lives all passion I have for history and adventures, mysteries and great love. 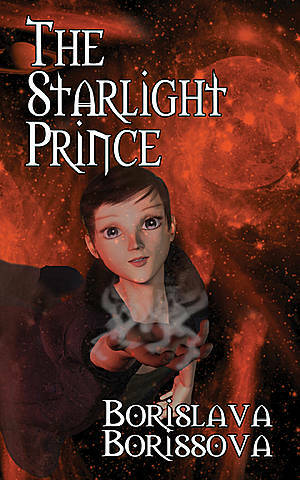 My young adult fantasy The Starlight Prince became my first published book in 2010. Now my third book, Love And Other Dreams, is completed and you may find its first chapters here. 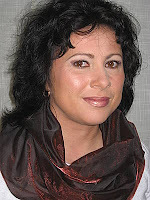 I have been working as a recruiter in the field of Human Resources for years, but in my free time history and writing are the important passions of my life. I love interesting stories and legends, adventures that take us through the ages and help us to experience countless earthly and celestial places. I love ancient parts in the towns, which are like museums under open sky. I like discovering these scenes of legends and secrets, history and culture. 2.) Who are some authors who have had an influence upon you as a writer? They are many, too many, too different in their genre or messages to the readers. Since my childhood I love being in the world of books and I think every author, every text has given something to me first as a reader and second, I have also received some ideas, lessons for writing. 3.) What do you hope the future holds for you and your writing? Of course, there is the idea about success in everyone. I hope Love And Other Dreams would meet as many readers as possible. Actually, I have never lived with the thought “I can do this.” In my case it is always the sense “I need to write, I want to write.” I believe I am much better storyteller with my new book and I have much to say, to share with other people. Sometimes I imagine that I am much older, in 2032 for example, I have a time, and decide to start writing the same story again. I suppose, my messages to the readers, my choice of words, my story-telling manner would be different from now. Perhaps it would sound more mature and peaceful but in the text I have written nowadays lives all passion I have for history, mysteries and great love. 4.) Your author's bio on the back of your books says you live in the city of Sofia, Bulgaria, a city with plenty of history that draws lots of tourists. What is your favorite thing about living in Sofia? 5.) What is one of your least favorite things about living in Sofia? Unfortunately there is a lack of the romantics in the big cities. I am used to working on an open window with noise of passing buses, cars, steps and also voices of many walking people, but sometimes I dream to lay somewhere on green meadow with butterflies, ladybirds, turtles, foxes, hedgehogs, wild flowers, watch the endless sky and writing about love. Thank you for the feature of my writing and me! Thanks, Borislava! Glad to have you!